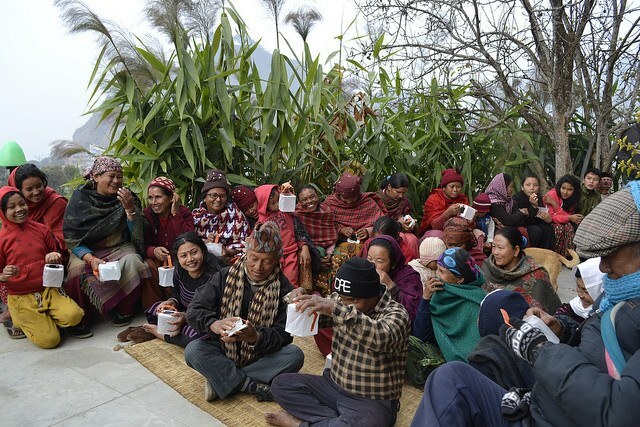 A large part of what LuminAID is all about is providing light for disaster relief. 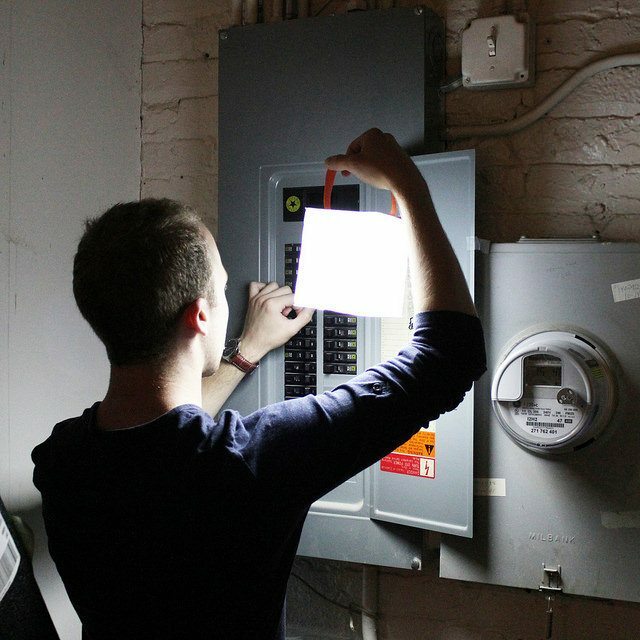 Light can have an important positive impact on safety and comfort after disasters. More than 1.1 billion people worldwide lack reliable access to electricity, but humanitarian and disaster relief organizations had difficulty finding ways to get safe light to those who need it most. LuminAID aims to empower safety and success with renewable access to light and power, and over the past couple years we’ve been able to provide aid to people around the world with our Give Light projects. In 2017 the Caribbean and southern United States were hit hard with Hurricane Maria, Hurricane Irma and Hurricane Harvey. LuminAID was able to partner with Convoy of Hope to distribute over 50,000 solar lights and phone chargers.The advantage to using LuminAID lights during and after a hurricane is that they are entirely waterproof. In addition, humanitarian partners were able to distribute and ship the lights more efficiently because of their compact and lightweight design. Even in locations like California, with very stable power systems, sometimes those systems can fail. During the wildfires LuminAID was a quick and easy solution for those who were displaced from their homes. 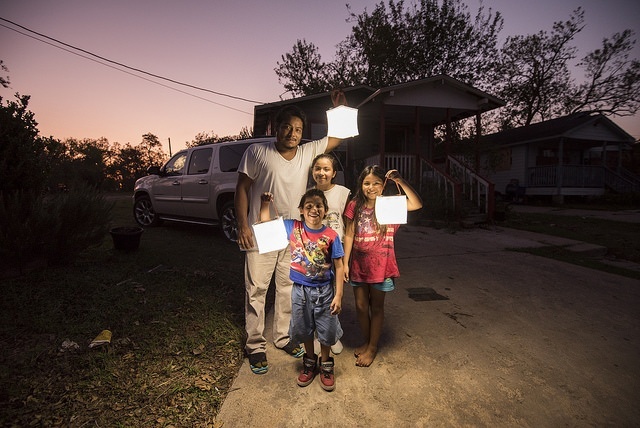 Solar lanterns are the perfect item to work in tandem with a generator. In 2015 the country of Malawi was hit with extreme flooding, and there were huge numbers of houses and crops destroyed across half of the country’s districts. Entire villages were forced to relocate and rebuild from scratch. LuminAID partnered with ShelterBox to help families without electricity and unstable living conditions while they work to rebuild their homes and livelihood. 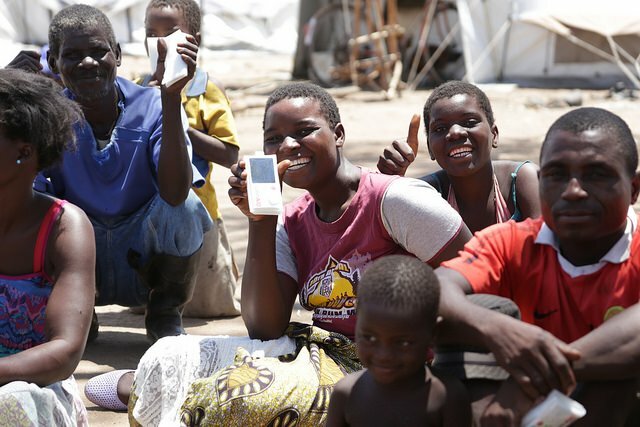 Our co-founders, Anna and Andrea, traveled to Malawi to help out and share their experience in this Notes From the Field blog post. Nepal was struck by a 7.8 magnitude earthquake in April 2015, and a second 7.3 magnitude quake just 17 days later. The damage was extensive and left many across the country vulnerable. People needed something easily portable to take between shelters, or something they could use for light outside. LuminAID was the perfect solution. Through our Give Light Nepal campaign we partnered with a number of organizations, including the United Nations Population Fund (UNFPA), to distribute 1,000 solar lights to women and girls in need following the earthquakes.